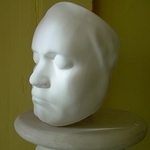 Plaster Casting - Face of Beethoven - This casting is great for people learning portraiture. 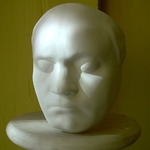 It is a copy of one of the famous sculptures of Beethoven's face. It is life sized. The stark white plaster allows for an amazing array of shadows! 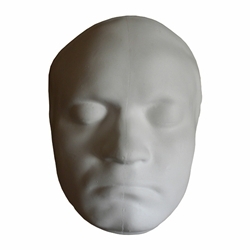 This is also a great prop for still life.